As reported earlier, Vice President Yemi Osinbajo on Monday met behind closed doors with former Senate Leader, Ali Ndume. He is aspiring to be President of the 9th Senate due for inauguration in June. He had declared his intention to run for the number three highest political office despite endorsement of the current Senate Leader, Ahmed Lawan for the position by the ruling APC. 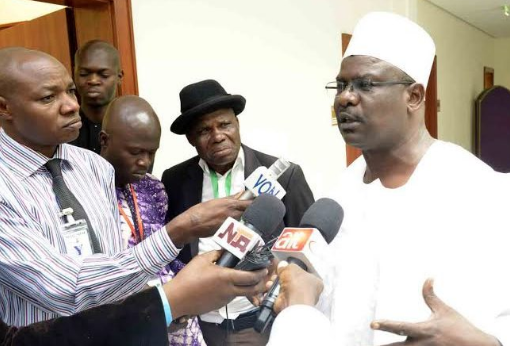 Ndume, declined to speak on camera with State House correspondents on Monday at the end of about one hour meeting with Osinbajo. But he indicated that he was not ready to step down from the race. He declined to speak further on the Senate Presidency race as he maintained that he was still holding consultation. “This is not the time to talk now because I am still holding consultation,” he stated.